20C in February.....record breaking winter temps along with some beautiful clear skies allowed some great star trail opportunities. 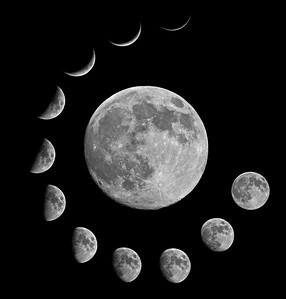 Over 10 hrs of Earths rotation composite. 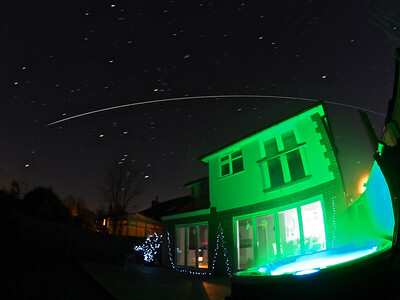 A barmy 20C, perfect clear sky night and opportunity for 10hr star trail. 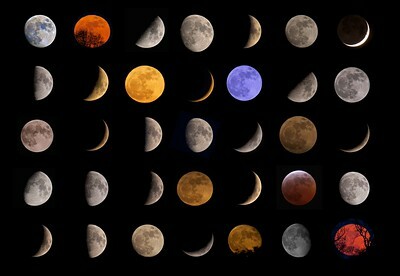 Over 2500 exposure composite. October 2019. 2200 & 2335hrs double flyby composite. Cloud rolled in and killed the last 2 passes! 2 of 4 flybys. Cloud and ambient light lost the other 2. Captured with Olympus EM5 7 8mm fisheye. 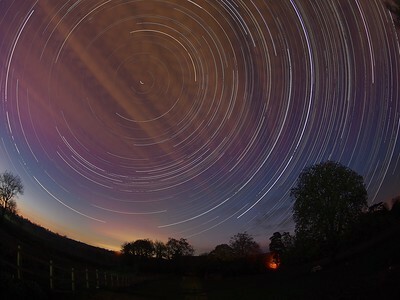 7 hour star trail, captured with Olympus EM-5 & 8mm fisheye. Isolated cloud passing through added to the composition. This lunar montage took me a year to complete. 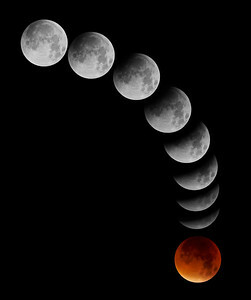 Amazing how patient one has to be for the right phase and clear skies. Perigee moon in centre All taken with my Olympus E3 dslr and the stunning 90-250mm glass & x2 TC. 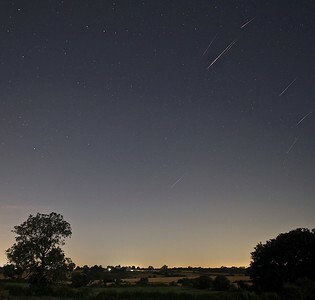 Composite of Perseid shower from Sat Aug 12/13th 2017. Captured with Olympus EM5, 12mm. 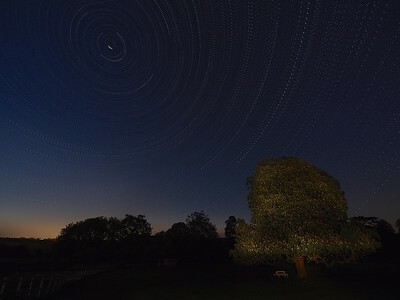 Cotesbach StarTrail 05/06 April 2015, Leicestershire, UK. 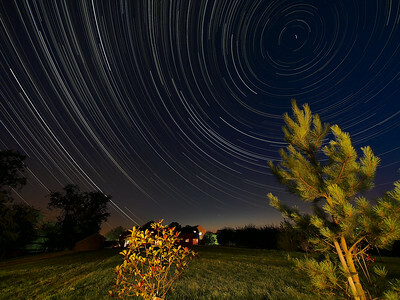 First star trail at my new house in Cotesbach. I have a wonderful horse chestnut tree which is a great foreground subject. 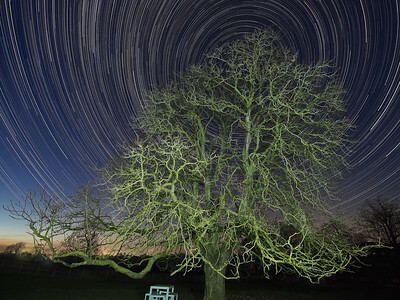 8 hours and justst under 2000 exposures Star Trail captured with Olympus OM-D E-M5 & 7-14mm lens. 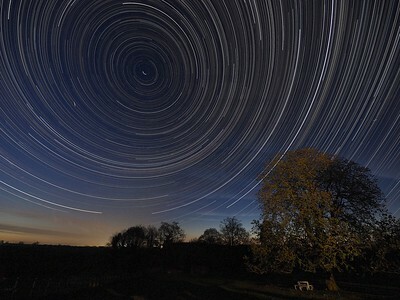 The image is composed around the North Star (Polaris), the pole star around which all others spin. How did I capture it? - Camera on tripod F4, ISO 320, 15s. Manual focus set to infinity I composed the image around the North Star (Polaris) to ensure a swirly star trail above the trees. The first shot was captured/exposed through the lcd screen and then using the remote cable (set to lock) and turning off lcd (maximise battery) I depressed shutter. This allowed the camera to shoot continuous for 8 hours (using 2 battery pack). I transferred all images (High res JPEG) to MAC and imported/stacked in StarStax software. Plane trails removed using Pixelmator software. 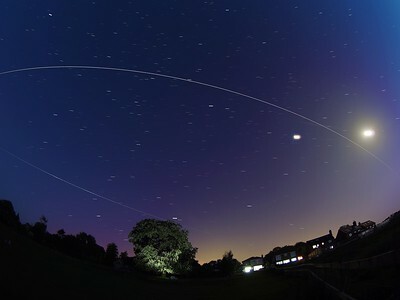 The final composite reveals 8 hrs of Earth spinning, as shown through the stars. 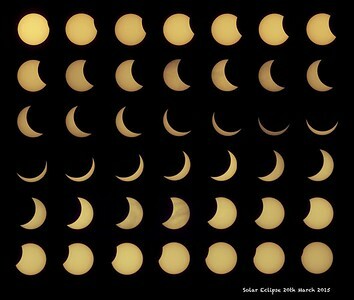 Solar Eclipse (partial) 20 March 2015. 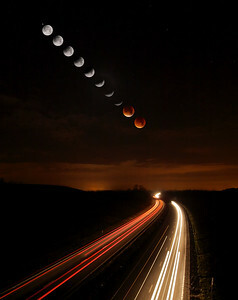 Captured in East Midlands, UK. 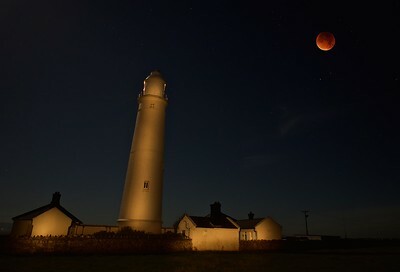 Lunar passage commenced at 0830hrs & ended at 1030hrs. 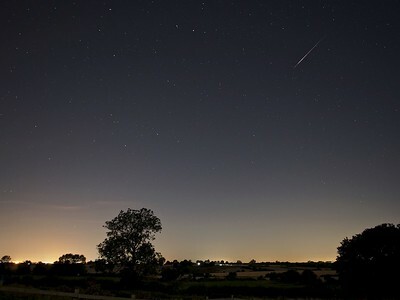 I was very fortunate to be located in one of a few places within the UK with clear skies for the entire event :-) To capture this shot I used my Olympus OMD EM1 dslr with a 90-250mm lens and x2 TC. 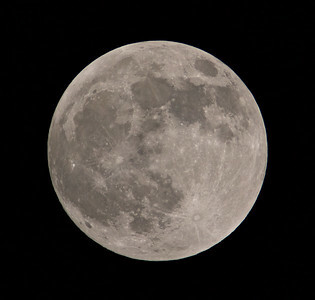 This yields a 500mm focal length (1000mm @ 35mm equiv). The lens was fitted with a solar filter (hand made with baader film). I captured a frame at approx 1 min intervals for the entire 2 hrs (F.5.6, ISO200, using a range of aperture speeds from 1/50s up to 1/800s) for varying exposures. Afterwards I imported all images into Aperture, selected the best from each 1 min batch and cropped (approx 40%) & also adjusting the blue levels to produce a solar yellow finish (By using a baader solar filter the images naturally expose with a purple tint). I then exported all completed images to full size JPEG. Finally I brought all these final exposures into software (Pixelmator) for aligning into 6 rows of 7. 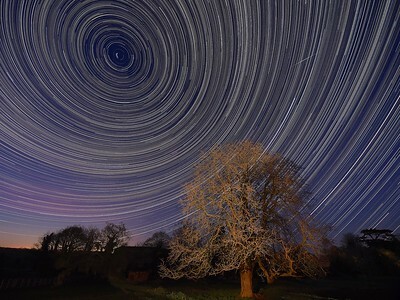 StarTrail 01/02 Feb 2015, Leicestershire, UK. 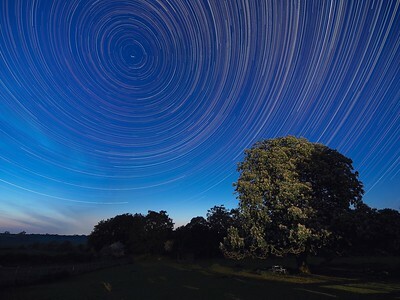 6 hour, 1500 exposures Star Trail captured with Olympus OM-D E-M5 & 7-14mm lens. 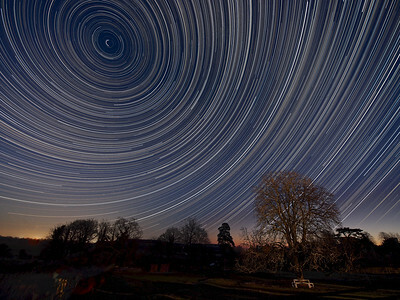 The image is composed around the North Star (Polaris), the pole star around which all others spin. How did I capture it? - Camera on tripod F4, ISO 320, 15s. 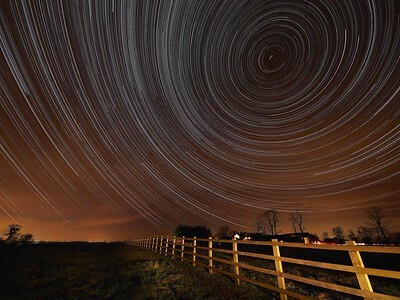 Manual focus set to infinity I composed the image around the North Star (Polaris) to ensure a swirly star trail above the country properties. The first shot was captured/exposed through the lcd screen and then using the remote cable (set to lock) and turning off lcd (maximise battery) I depressed shutter. This allowed the camera to shoot continuous for 6 hours (using 2 battery pack). I transferred all images (High res JPEG) to MAC and imported/stacked in StarStax software. Plane trails removed using Pixelmator software. 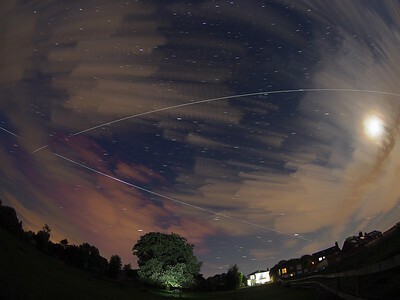 The final composite reveals 6 hrs of Earth spinning, as shown through the stars. As featured on ITV Central news 22 January 2015. 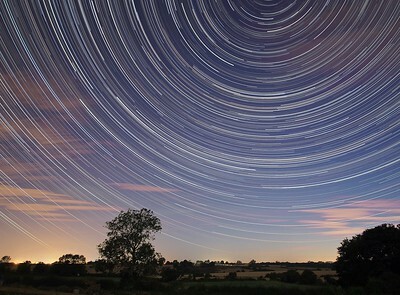 StarTrail 17/18 Jan 2015, Leicestershire, UK. 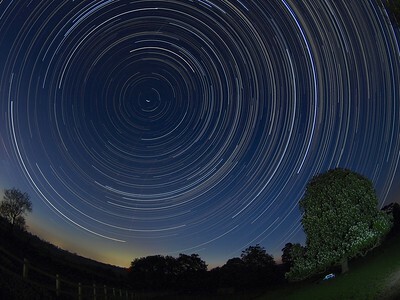 7 hour, 1700 exposures Star Trail captured with Olympus OM-D E-M5 & 7-14mm lens. 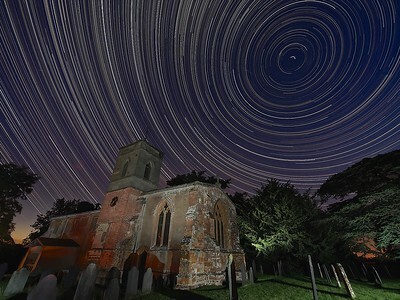 The image is composed around the North Star (Polaris), the pole star around which all others spin. How did I capture it? - Camera on tripod F4, ISO 320, 15s. 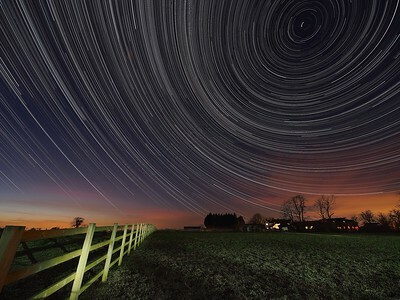 Manual focus set to infinity I composed the image around the North Star (Polaris) to ensure a swirly star trail above the country properties. The first shot was captured/exposed through the lcd screen and then using the remote cable (set to lock) and turning off lcd (maximise battery) I depressed shutter. This allowed the camera to shoot continuous for 7 hours (using 2 battery pack). I transferred all images (High res JPEG) to MAC and imported/stacked in StarStax software. Plane trails removed using Pixelmator software. 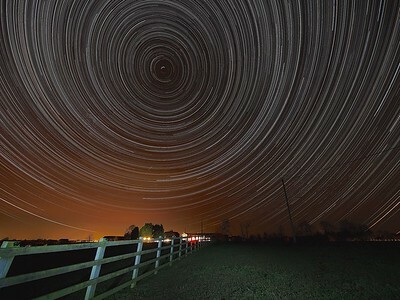 The final composite reveals 7 hrs of Earth spinning, as shown through the stars. 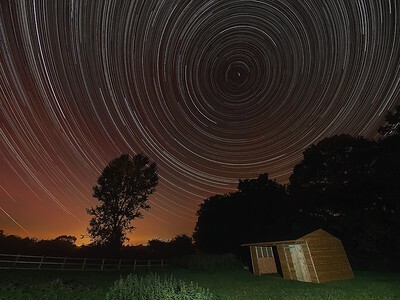 StarTrail 10/11 Jan 2015, Leicestershire, UK. 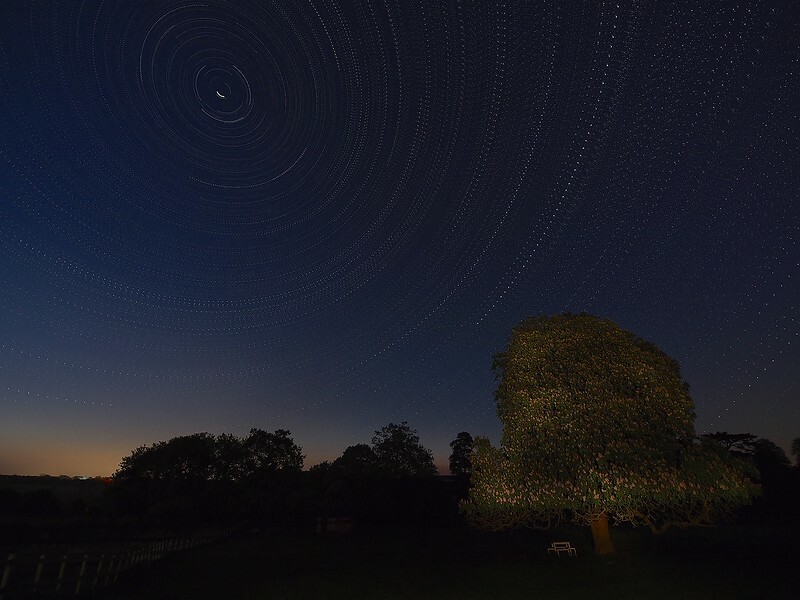 7 hour, 1700 exposures Star Trail captured with Olympus OM-D E-M5 & 7-14mm lens. 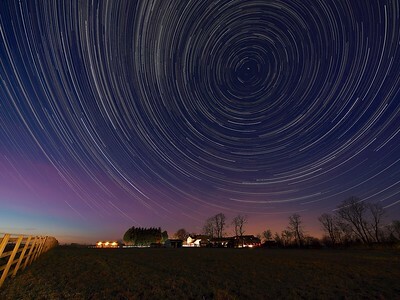 The image is composed around the North Star (Polaris), the pole star around which all others spin. How did I capture it? - Camera on tripod F4, ISO 320, 15s. 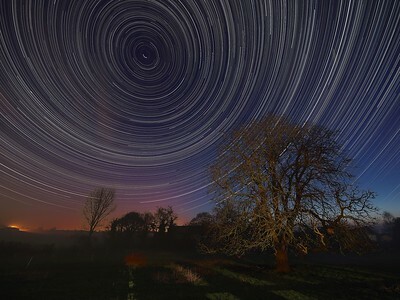 Manual focus set to infinity I composed the image around the North Star (Polaris) to ensure a swirly star trail above the country properties. The first shot was captured/exposed through the lcd screen and then using the remote cable (set to lock) and turning off lcd (maximise battery) I depressed shutter. This allowed the camera to shoot continuous for 7 hours (using 2 battery pack). I transferred all images (High res JPEG) to MAC and imported/stacked in StarStax software. Plane trails removed using Pixelmator software. 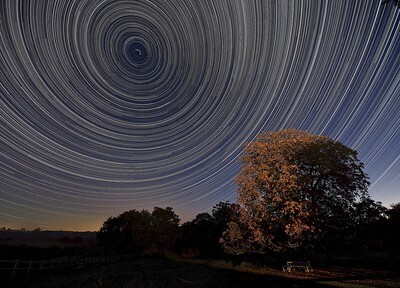 The final composite reveals 7 hrs of Earth spinning, as shown through the stars.